Following the recent success of films including Veere Di Wedding, Raazi, actress Pooja Hegde said that it was justified that women can also be crowd-pullers. Alia Bhatt-starrer Raazi in Hindi and Keerthy Suresh-starrer Mahanati in Telugu, as we all know, have been ruling the Indian Box Office like a boss. Both the films that released in the month of May, have only proved that women of the Indian Film industry are here to rule. Their films are not only getting critical acclaim but also box office success. Interestingly, both Raazi and Mahanati are based on real-life incidents. It’s very rare that women-oriented films get a good opening at the Box Office. However, this mindset needs to be changed now. A good content deserves appreciation and it does not matter whether they feature male superstars or not. The actresses of the industry have potential to deliver super-hits. Also, since a very long time, there has been discussion related to pay disparity. Many actresses in the past have spoken up and demanded equal pay for both men and women. The actresses have been speaking that how this gap needs to be removed. Following the recent success of films including Veere Di Wedding, Raazi, actress Pooja Hegde said that it was justified that women can also be crowd-pullers. “Wait,female driven films are getting critical acclaim AND making MONEY?? !Well,girls…I hope u’ll start making as much money as the boys are making 😏considerin u’ll are now pulling in d crowd as well😉What’s their excuse now? @aliaa08 @sonamakapoor #paygap #Raazi #veerediwedding (sic),” the actress posted on Twitter. 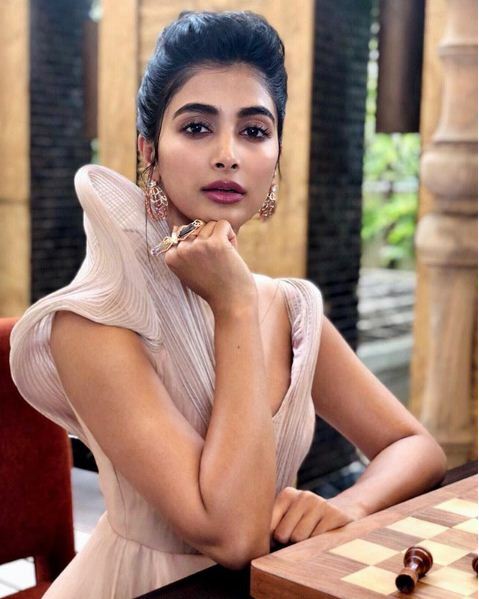 On the work front, Pooja Hegde begins shooting for Jr NTR-Trivikram film in Hyderabad. Pooja Hegde will be seen pairing for the first time opposite Jr NTR in an untitled film. At present, she has Saakshyam in her kitty. Besides, she has also been signed for Nithiin’s upcoming film with Satish Vegesna. The film is slated to go on the floors very soon and is being bankrolled by Dil Raju. Pooja Hegde will play one of the leading roles. Nandita Sweta, who made her Tollywood debut with the hit film Ekkadiki Pothav Chinnavada, will also be seen as one of the actresses in the film. Equal pay not just for the lead actresses, but for everyone in the cast & crew. Will lead heroes and heroines agree to reduce their pay to match that of character artists, comedians, villains, henchmen, cameo artists. Will shahrukh khan, salman khan, priyanka chopra & deepika padukone agree to work for the same pay as a movie assistant !! !